After writing the article Top 10 Tips for a New Toronto Wedding Photographer, I realized there is way more to the picture. Here are the next best 10 tips for you, the new entrant in the Toronto wedding photography arena. Enjoy! While I realize you are a photographer and not an accountant, knowing basic principles about pricing and costing is extremely important. Now, I got many emails from colleagues regarding my analysis of Toronto wedding photography prices. Many of them thanked me for that but I also received a few hate emails. If you have no idea how to price your packages, take a look at the article and check out my prices. This is crazy! Costing is something we, photographers often neglect. You know a secret? It's not that difficult! Just add the number of hours you spent on a wedding and multiply it by your target hourly salary. meeting the bride and groom to deliver the images, etc. Say you want to make $30/hour, then you need to charge $30 x 60 hours=$1,800 just to break even. Multiply that by 1.3 to play safe and include costs such as rent, hydro, insurance, depreciation, parking, etc. That tells you that your lowest package should be $2,340. Yes, taxes apply on top of that. Here is the truth: we, photographers focus mostly on the wedding day and disregard the "journey." Many brides hired me because I was the first to reply to their email. You see how huge this is? How long do you take to answer to an emaiul? More than a couple of hours? Then, my friend you are in good company. Here is the kicker! The average photographer in the Greater Toronto Area takes 24 hours to reply to an email. Are you kidding me? Unless you are shooting a destination wedding, you have no excuse. 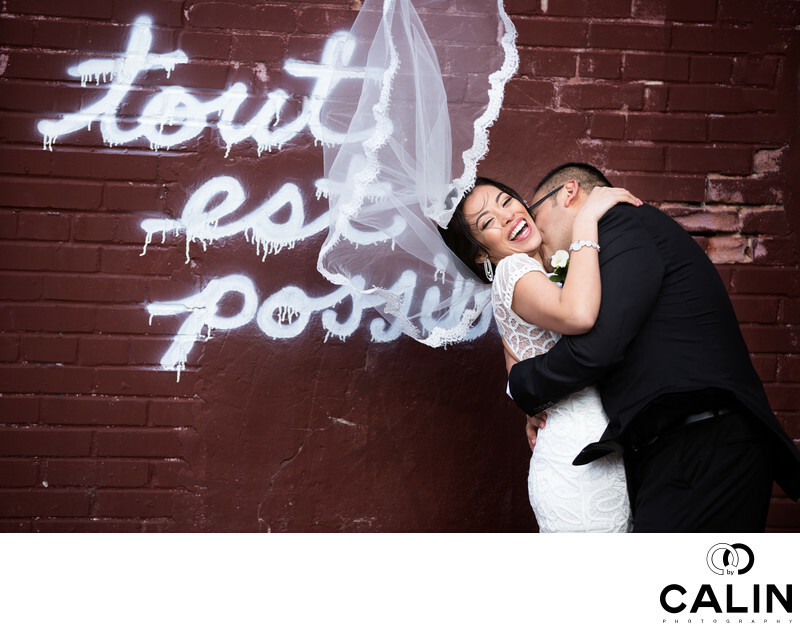 Every wedding photographer in Toronto and surrounding areas has internet access 24 hours a day. But wait! It gets better. A bride told me she was not able to find her photographer to pay the deposit...You know something? I was there when she emailed me so I got to document her wedding day. I hate to break it to you. These days, clients expect an amazing experience, not just the main product you are selling. Starbucks does not sell coffee, but an experience. The same with us. We don't provide photos, but a whole experience, from the first email to the couple's Big Day. But how can answer to emails, shoot, edit and blog, not to mention be active on social media? Make sure you read my next tip to find out. Here is the deal! An efficient workflow helps you contain costs, respond to emails in a timely fashion, have more time for social media and blogging. Make sure you streamline your workflow. Think assembly line, not photography and you will be ahead of many artists in the Greater Toronto Area. Jerry Ghionis, one of the top 10 wedding photographers in the world confessed on Icesociety to having a shots list. So did Ryan Schembri and Rocco Ancora. According to them 80-90% of the shots taken on the couples special day following a shot list. This is crazy! According to them, only 10-20% of the shots are original and creative. Do you see how huge this is? There is no need to reinvent the wheel on the big day. You will also deliver consistent quality. Who cares if you get only 30 minute for the photo shoot? Are you concerned that you will lose your voice or your photography style? Don't worry! Capture great moments and your images will be unique. If you look at successful professional photographers, their wedding and engagement photos look exactly the same...because they have a formula...and it works! The easiest way to learn is from a master. Just find a great wedding photographer in Toronto and you are set. Here is the kicker! Do not expect to be paid for your work. Assist for free! What you learn on an engagement photo shoot or on the wedding day is more valuable than money. Once you know how to shoot, start second shooting for your mentor and develop your own photography style. Who knows? Maybe one day he will allow you to post some of the shots you took at that gorgeous Casa Loma ceremony. Find a company that offers wedding videography services. You can refer each other business and life will be good. Do you know the best part? Many of my weddings come from other artists such as baby, boudoir or lifestyle photographers. If they don't shoot weddings, you can simply pass their contact to your clients looking for another genre of photography. It gets even better. I get leads from wedding photographers who are already booked or simply don't do engagement photography or destination weddings. Believe it or not, some studios are so busy that they can not do engagement sessions. If your website screams cheap, what type of clients will you attract? Spend money on a good looking logo, website, business cards. It's a great investment! Long gone are the days when publications paid photographers for their images. These days it's mostly about exposure. Want to know the best part? If your work get published, in your client's mind it's an approval stamp. Also, it gives them bragging rights, for which they will pay extra. The same thing happens with awards. Join some prestigious photographers associations. Win some awards and the sky is the limit. Seo is a daunting task and often misunderstood by professional photographers. Love it or hate it, you need to do it. Stay with me! You can be the best photographer in the world! If nobody sees your images, it does not matter! I recently read the book "The 10X Rule" by Grant Cardone. In a nutshell, you should set goals 10 times larger than you are inclined to and put 10 times the effort you think it will take. Yes, nobody said it would be easy!